By now, Internet of Things, better known as IoT, has become an important topic which is instigating discussion from all over the globe. With the advent and evolution of the internet over the years, the world has never been the same. Upon observation, it's easier to understand that the internet has a role to play in everything around us. From brilliant innovations in smartphones to connecting our home appliances to the web, internet and its network is spiraling all around us so how could it be any indifferent to businesses? With two months left in the start of a new year, let’s take a moment to understand how IoT can be used for better business growth in 2018. Read on. Did you know that with IoT at work you will be able to extract better data regarding your business operations and your consumer experience? Well, IoT allows you to use sensors on your products which leads to efficient data collection regarding usage, demand, consumption and other such factors. Putting such information to work, you can use it wisely to understand your consumer better which in turn can be useful in anticipating future trends and future requirements. This would also work as an encouragement for your employees to access the data and use it with IoT for effective strategy development. With the concept of interconnected devices and efficient networks, Internet of Things allows you as a business to have centralised digital control over your business operations. Sensors are capable enough to work on anomalies and get rid of issues before it could reach your server. For a company which has various offices around the globe and spends much on power, water and workforce could finally think about saving some bucks. Also, if you could access everything through your data dashboard on your mobile phone and even solve the issues, what more could you possibly ask for, right? Customised alerts can be a great way to keep yourself and your business in check. While IoT is already providing you with customer data, you can use such information to create customised alerts for business improvements. Once you reach the specific alert point, you will be informed on your available device. Such technology ensures that irrespective of your whereabouts, you are updated with the business operations and are in control of the ongoing processes. Such IoT technology helps you take your mind off monitoring and focus on other tasks with the need to intervene when informed. Incorporating IoT into your business structure brings along numerous benefits, but this is probably the most significant one. 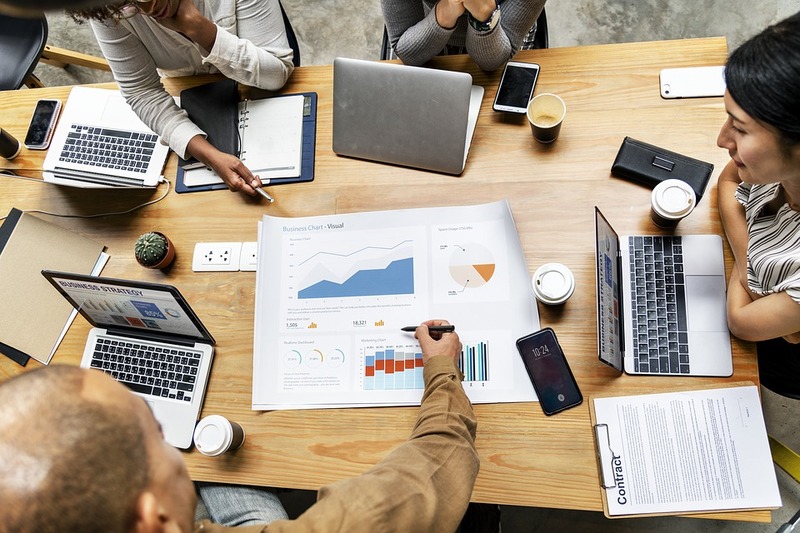 With IoT and analytics working together to provide reports on planning and strategy, you will have the upper hand with your resource allocation with a predictive plan. The simple fact which plays a vital role in this aspect is that such reports help in understanding your resources better. This further creates a better understanding of what your business demands which can be used for optimum resource usage. One satisfied customer spreads the word of their satisfaction pretty quick. Focusing on improvising the customer experience will lead to recurring customers. Also, customers are well-informed and aware of their possible options which takes just a moment for them to make the switch from you to someone who understands their pain points and gives them a fantastic solution. With the right application of IoT, the customer’s experience with your product and service can be easily interpreted and put to use for business operations improvements. With its current state of operations, it is safe to say that IoT is in a developing state which will help businesses reap greater benefits with significant evolution in the future. Also, if you are worried about the servicing of your powder dry plant or powder coating booths, PB Metal Finishing Systems might come in handy for you. Trust the developing technologies like IoT as they will help you manage your business in lesser bucks and with greater efficiency.